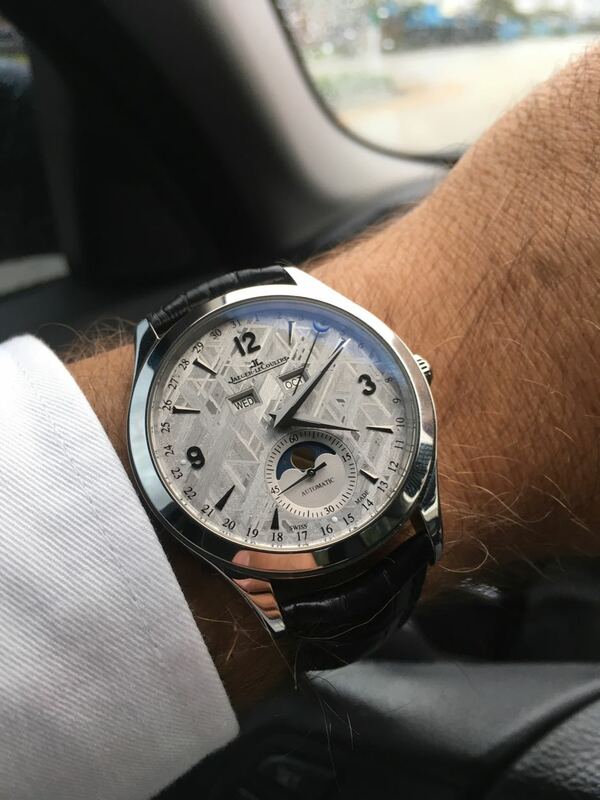 TimeZone : Jaeger-LeCoultre » Loving the meteorite! I have been fascinated by the MC Meteorite dial since the first time saw a picture of it. but got the MUT moon instead. Well every time I see pictures of it, it calls my name. as it is a little more casual. My AD was able to get one, and I couldn't resist. That dial looks even better in person! not problem at all. It has much better legibility than the silver dial MUT Moon because of the thicker hands.